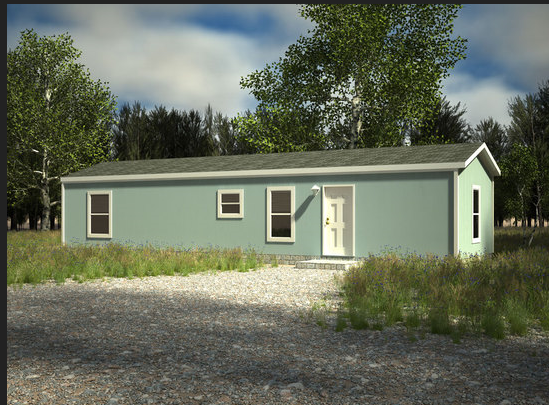 The Coolidge model has 2 Beds and 1 Bath. 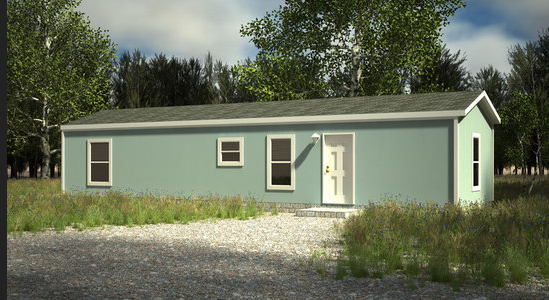 This 639 square foot Single Wide home is available for delivery in California, Arizona, Nevada. The charming Coolidge offers ample living space and is ideal for the upstart family. 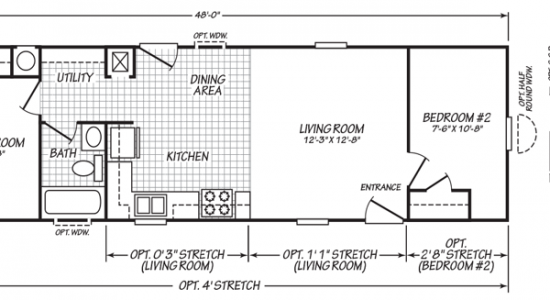 Homebuyers seeking even more room can take advantage of the optional 4’ stretch. A variety of additional exterior window configurations are available. Ask your housing consultant about the other great features that come standard on the Coolidge manufactured home.